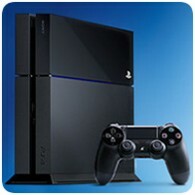 Two interesting videos have surfaces revealing more information about the PS4 console. The first video, from PlayStation Access, goes over 20 facts about the PS4, from things we’ve already covered to new titbits like the name for the PS4’s menus system. The second video comes from T3, and covers the PS4 from every angle imaginable – giving you a unique look at the console before you get your hands on the real thing.